It is our pleasure to introduce and welcome to the Sedona community, SOCSD superintendent for the 2018-19 school year, Mr. Dennis Dearden. Mr. Dearden is known nationwide as an extremely talented educational leader and brings a distinguished resume to his new position in Sedona. Dearden was the Superintendent of the Marana School District and Casa Grande Union High School District, both in Arizona. Before his time as superintendent, Dearden served as the Cluster I assistant superintendent for Fairfax County Schools in Virginia, where he was responsible for 22 schools and nearly 20,000 students near Washington, D.C. All 22 schools in Cluster I earned full state accreditation, and the three high schools (Langley, McLean, and Herndon) were included in the 2005 Newsweek top 100 high schools in the nation. Prior to working in Fairfax County, Dearden served as a principal at the high school and middle school levels in Grand Junction, Colorado. He also spent 20 very rewarding years in the classroom as a social studies and special education teacher and has a strong coaching background at the middle school, high school, and college levels. 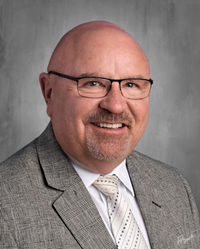 Dearden received a Bachelor of Arts in Secondary Education from Simpson College (Iowa), a Master’s in Special Education from Drake University (Iowa), and his administrative certification from the University of Northern Colorado. Dearden has excelled at every level due in large part to his team building strength, his ability to communicate a clear and distinct passion for students, and reaching out to a constituency that embraces change and breaks down barriers to teaching and learning. We look forward to Mr. Dearden bringing these strengths to the Sedona-Oak Creek District!